Thirukoodal is one of the 108 Divya Desams of Lord Vishnu located in the heart of Madurai City, Tamil Nadu. This is one of the oldest temples built by the Pandya Kings famous for its stunning architectural beauty. 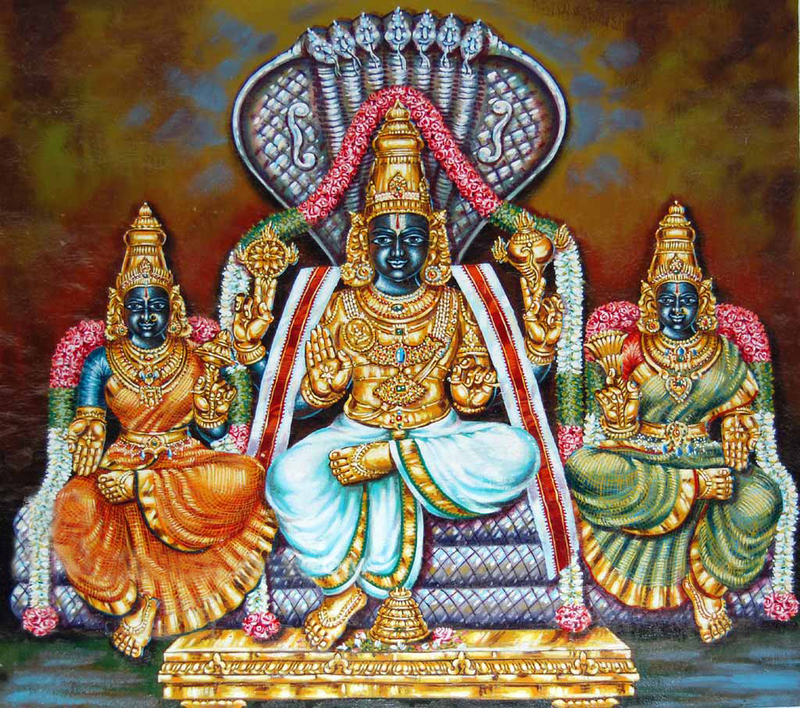 The majestic rajagopuram reveals the exquisite murals of Lord in his three postures, Lord Koodalazhagar on sitting posture, Lord Ranganatha in reclining posture and Lord Suryanarayana in standing posture. 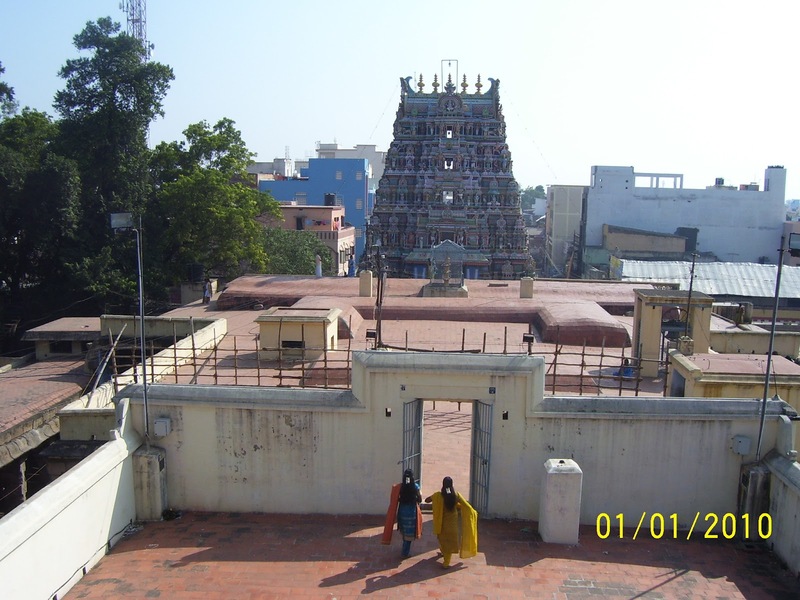 The Koodal Azhagar Divya Desam is situated in the heart of Madurai, a km South East of Madurai Junction and half a km South West of Meenakshi Amman Temple. In the temple tower at the entrance, one sees the story of the Ramayana and Mahabaratha depicted through sculpture in different tiers of the tower. These sculptures can be closely seen from Tier 1 of the temple and are not to be missed. Pandya king Vallabadevan wanted to know the Lord with the power to show the way to Paramapatham, the heavenly abode. The King hung a Golden Parrot with the announcement that the parrot would automatically fall, once someone informs him of the right Lord to Paramapatham. Several came and went back without success. It is believed that the Koodal Lord appeared in the dreams of Vallabadevan’s priest Selvanambi and suggested the name of PeriAzhvaar of Srivilliputhur. 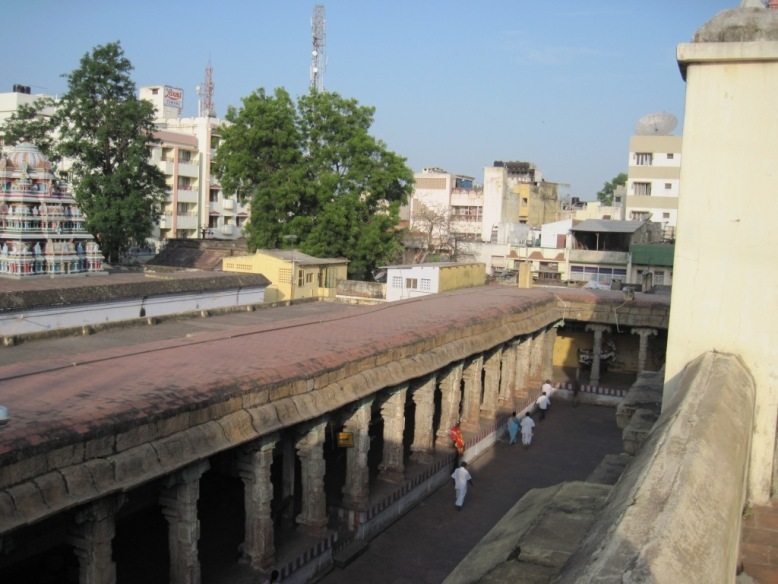 Accordingly, PeriAzhvaar was brought to the court of the Pandya King in Madurai. With several examples from vedic scriptures as well as historical references, PeriAzhvaar showcased to the Pandya King that Lord Vishnu was the Lord who could take one to the heavenly abode. And to every one’s surprise the parrot fell down. A delighted Pandya king praised PeriAzhvaar and took him on an elephant procession through the streets of Madurai. Legend has it that Koodal Azhagar himself came to see this sight on his Garuda Vaahanam. Delighted at the sight of the Koodal Lord, PeriAzhvaar showered praises with his Pallaandu. Hence, Koodal Azhagar is credited with origination of ThiruPallaandu, which now has come to be sung as the first 12 songs of the Divya Prabhandham. Being the place where PeriAzhvaar sang the now famous Pallaandu, this place is considered equivalent to Paramapatham. Pandya king Sathya Varadan undertook penance before the Koodal Lord, who gave him darshan inside a sacred tumbler, as a fish. This is stated to be the reason for the Pandyas to have ‘Fish’ as their symbol in their flags. At Sathya Logam, Brahmma washed the legs of Lord Vishnu, after his Trivikrama Avataaram, the sacred water drops of which fell on Madurai. These sacred drops spread as two rivers, Vaigai and Krithumala. Koodal Azhagar temple is on the banks of Kruthumala river. This is the only divya desam with a Navagraha Sannidhi. Festivals : Vaikasi Brahmotsavam, Maasi Theppotsavam, Panguni Utram Thiru Kalyana Utsavam. The temple is open from 06:00 a.m. to 12:00 noon and from 04:00 p.m. to 09:00 p.m. The temple is situated in Madurai district of Tamilnadu. 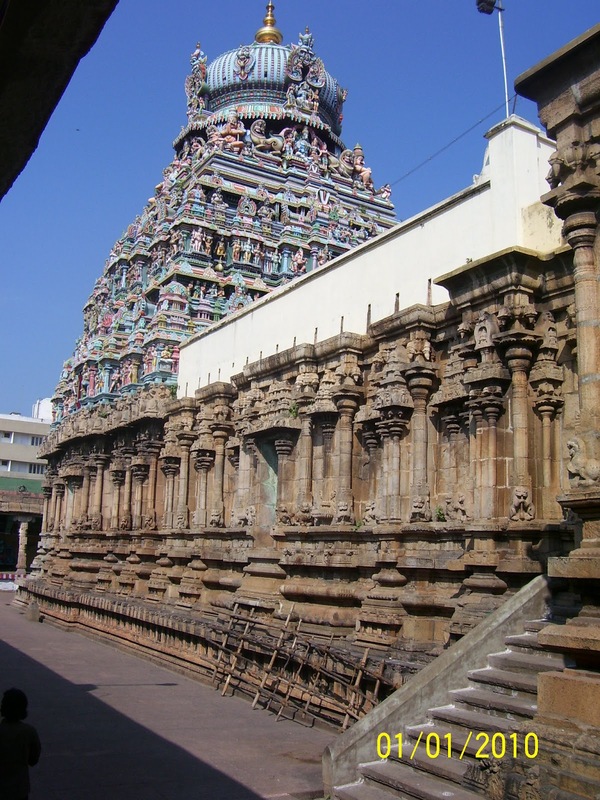 It is close to the main bus stop and also the famous Meenakshi temple. Madurai is well connected by trains, buses and flights with major cities. Priest: S.Narayana Bhattar @ 93441 13169 ; 94436 75737 / 98421 73621.